There are many who believe that all religions are basically the same. And yet Jesus said, “I am the way, the truth and the life, no one comes to the Father but by me.” And in Acts 4:12 Peter echos the same premise: “Salvation is found in no one else for there is no other name under heaven given to men by which we must be saved.” These statements take Christianity and put it in a class all by itself. 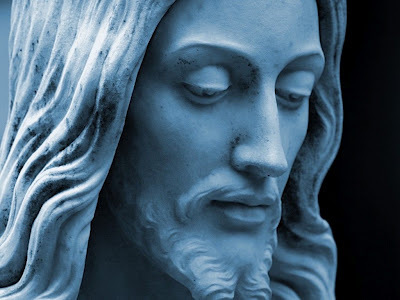 The uniqueness of Christianity is rooted in the uniqueness of Jesus Christ. He is unlike any other religious leader who ever walked the planet. Listen to the difference between what other religious leaders say and what Jesus says. You see the difference? For a long time people tried to harmonize, find commonality between the different religions of the world. But there are drastic and irreconcilable differences between Christianity on the one hand and all other belief systems on the other hand. A study of the world religions will reveal that all religions, other than Christianity, are basically based on the idea of people doing something through their struggling and through their striving to somehow earn the good favor of God. You’ve got to use a Tibetan prayer wheel or you’ve got to go on pilgrimages or you’ve got to give alms to the poor or you’ve got to avoid eating certain foods or you have to pray in a certain way or you have to go through a series of reincarnations. They are all attempts of people to reach out to God. But Jesus Christ is God’s attempt to reach out to people. Jesus taught the opposite of what these other world religions taught. He said that nobody could earn their way into heaven so you might as well stop trying. He said two things that are very consistent with what we know to be true. First, we’re all guilty of wrongdoing. And you know that’s true. Not one person here would claim they’re perfect. We know how true that is. Everybody “falls short.” Then Jesus said, our wrongdoing separates us from God. we know from our experience that that’s true, too. has there ever been a time in your life when you’ve felt that God is distant, detached from you? Of course. We’ve all felt that. Why? 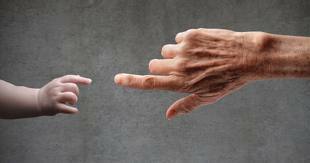 Because our wrongdoing has created a gulf, a separation between us and God. And because God, by His nature, is a righteous judge, our wrongdoing must be paid for. But out of his love for us, Jesus Christ voluntarily offered to be our substitute, to pay the penalty for the sin that we deserve so that we wouldn’t have to. And when we receive his sacrifice on our behalf, then we become reconciled with God. That’s what Christianity says. There’s a difference between good works and grace. All other religions are spelled “DO”. Why? Because they all fundamentally teach that people have to do something, some sort of religious ritual, some sort of way to make themselves morally ok to try to please God. The problem is nobody knows how many good things they have to do in order to please God. It’s like you are a sales person and your boss comes to you and says, “I’m going to fire you unless you meet your quota but I’m not going to tell you what your quota is.” So you go out and sell, sell, sell because you don’t know how much you have to do to meet that quota. It’s the same thing. Every other world religion says you’ve got to do something to make yourself acceptable to God, but you never know how much you have to do. Christianity, on the other hand, says you can never do enough to earn your way into heaven. Christianity is spelled “DONE” – it’s done! Jesus Christ has done what we could never do. He lived the perfect sinless life and He went to the cross to pay for the sins of the world. And remember what He said just before He died on the cross. He said, “It’s done. It’s finished. The sins of the world are paid for.” And all that’s left for you is to apply that to your life, to receive His free gift of forgiveness and grace and mercy. We can really see the distinction between “Do” and “Done” when you look at the stories told by various religions. In fact, there’s a story that’s told in Buddhist literature that’s very similar to the story Jesus tells about the prodigal son. At least they start out very similar. In both the stories, young men kind of rebel against their father and they go off to a distant land on their own and then everything sort of falls apart for them and then they decide they want to come home and be reconciled with their fathers. They both start out the same. But in the Buddhist story the young man comes home and what does the father do? He forces him to pay the penalty for his past misdeeds by spending years in servitude. But what happens in the Christian story? The prodigal son comes home and instead of forcing him to work off his past misdeeds, the father opens his arms and gives him unconditional love and unconditional forgiveness and grace and he embraces him and he enfolds him. There’s a difference. The Bible says in Titus 3:5, “God saved us. it was not because of any good works that we ourselves had done but because of His own mercy that He saved us.” That’s not to say that Christians don’t do good works. They do, but it’s not to try to make themselves right with God. It’s after they have received this free gift of God’s grace that they say, “I can’t believe that God loves the likes of me!” And they’re so overwhelmed by gratitude of what God has done that it’s very natural for them to express that love of God toward other people by doing good things. Now they’re indwelled by the power of God in order to achieve that. So it’s not that Christians don’t believe in doing good deeds but it’s not the way in which they become reconciled with God. That is a freely offered gift of grace. So other religions are irreconcilable with Christianity in terms of how you become reconciled with God. And there’s also other major differences as well. Christianity says there is one God, eternally existing in three persons – the father, the Son and the Holy Spirit. Hinduism says everything is God. you’re god and I’m god, the tree is god, the house is god. Islam denies that Jesus was God. Islam denies Jesus died on the cross for our sins. Buddha was non-committal about the idea of God. he wasn’t sure – he was kind of agnostic. He wasn’t sure if God existed or not. So you can see those beliefs are at odds with each other. They can’t all be true at the same time. They contradict each other. So all religions are not basically the same. And it makes sense when you think about it. It would be illogical for God to come over to one side of the world and say, “Here’s who I am. I am one God. I am a good God. I eternally exist in three persons. This is how you come to Me.” But then He goes to the other side of the world and says, “Forget all that! I’m not one God. I’m millions of gods. And I’m not a personal God, I’m an impersonal God. I’m a good god but I’m also a bad god. You don’t become reconciled through grace. You have to earn it and go through reincarnation.” And then you go to another part of the world, “Forget those two things. I’ll tell you something different. I’m Allah and this is what you need.” It wouldn’t make sense. God would be schizophrenic if He did that. Then we’d all be in trouble if God were schizophrenic. What would make sense is if God would provide a path for us to follow for us in finding Him. And He would tell us about that path in an absolutely extraordinary way. Which He did. It’s called Christmas. It’s called the incarnation – God becoming man that He might pay the penalty for our sins, find out exactly what He is like and we might spend eternity with Him. So it does matter which path you follow in your spiritual journey. Jesus’ words dispel the myth that all paths lead to God. We are assembling a rapid response team from New Venture in case there are downed trees, transportation needs, medical issues or other emergencies that arise due to the impending storm. Availability of volunteers will certainly be contingent upon work, weather conditions and other factors, however, if you would like to be part of this team and be contacted, if and when a call goes out, I need you to hit me with a return email. I also need to know any supplies or equipment you might have available, if needed, like chain saws, generator, 4 wheel drive vehicles, etc. Several volunteered at the end of our service this morning. If you did at that time it is not necessary to respond again. You will be included on any call that goes out. Also, if you or a neighbor has a serious need that we might be able to assist with please send me (steve@relaxedchurch.com, 874-3269) or Ty Hagins (thagins@myerstiresupply.com 833-8922) and email of a call. Each need will be considered on its level of urgency. 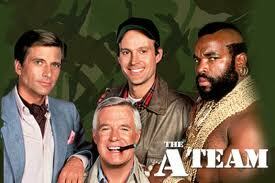 Our prayer is that the team will not be needed but let’s be ready in case. 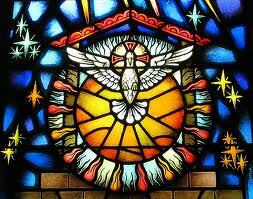 A highly controversial subject in the Christian community today is something called the baptism of the Holy Spirit. We are first introduced to the phenomenon in the second chapter of Acts. Here Peter, who was doing the preaching that day, refers to a prophecy made by Joel, some 800 years previous to this event. “‘In the last days, God says, I will pour out my Spirit on all people. Your sons and daughters will prophesy, your young men will see visions, your old men will dream dreams. 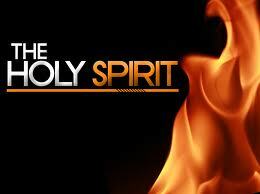 Even on my servants, both men and women, I will pour out my Spirit in those days, and they will prophesy. I will show wonders in the heaven above and signs on the earth below, blood and fire and billows of smoke. The sun will be turned to darkness and the moon to blood before the coming of the great and glorious day of the Lord. What does this promise mean that His Spirit be poured out upon all people? Who are the all people? Some would say, “Every single person can have the baptism of the Holy Spirit and should seek it.” In fact, there are those who teach openly and sometimes very loudly, that the baptism of the Holy Spirit, that specifically manifests itself in speaking in tongues, is THE sign that you have been saved and if you haven’t done it (spoken in “tongues”) they you don’t really have it, that is salvation. Here on Pentecost the Baptism of the Holy Spirit came upon the Apostles giving them the ability to speak in all the languages of the people gathered there with the purpose of getting the message out that the kingdom of God is open to all people. The kingdom is for EVERYONE. In fact, the prophecy ends with the words, “Everyone who calls on the name of the Lord will be saved.” Jesus wants to save all people and all people are welcome in his new kingdom. The core message Joel was declaring in his prophecy and Peter was reaffirming, is found in the word “everyone” Everyone can come to Jesus for salvation. The kingdom of God is open to everyone. Now, even though the kingdom was open to everyone, the truth didn’t catch on quickly, not even with the Apostles. This can be seen in the fact that most, if not all their evangelism outreach in the months following Pentecost, centered around the Jewish people, trying to get them to accept Jesus as the chosen one of God. The Apostles just weren’t getting it. This was new to them, that there were other people, besides the Jews, who were welcome into the Kingdom. So to drive this message home again of everyone, God sends a second occurrence of the baptism of the Holy Spirit and, as with the first time, it involved Peter. You can read this in detail in chapters 10 and 11 of Acts. Here’s the condensed version. In Caesarea was a God fearing and devout man with his family, named Cornelius. An angel appeared to Cornelius and told him to send some messengers to Joppa where Peter was and have him come to his house. He begins to share a message just like he did on the day of Pentecost. And what happened? Look for yourself. “While Peter was still speaking these words, the Holy Spirit came on all who heard the message. The circumcised believers who had come with Peter were astonished that the gift of the Holy Spirit had been poured out even on the Gentiles. For they heard them speaking in tongues and praising God. The same thing happened here as in Acts chapter 2, to show that the Gentiles also were welcomed into the Kingdom. And once that was made clear by the miracle of the baptism of the Holy Spirit those who were willing to accept Christ were baptized by water into His family, just like at the beginning. 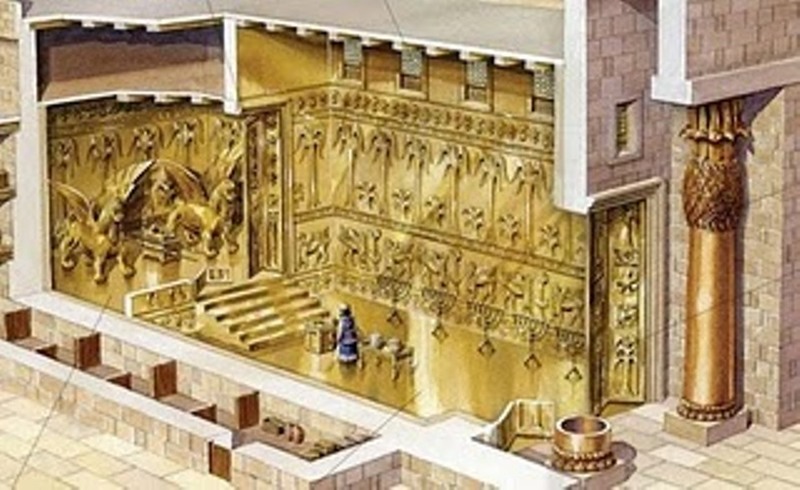 Both events, what took place on Pentecost and at the household of Cornelius, are connected with Jesus promise of the coming baptism of the Holy Spirit. 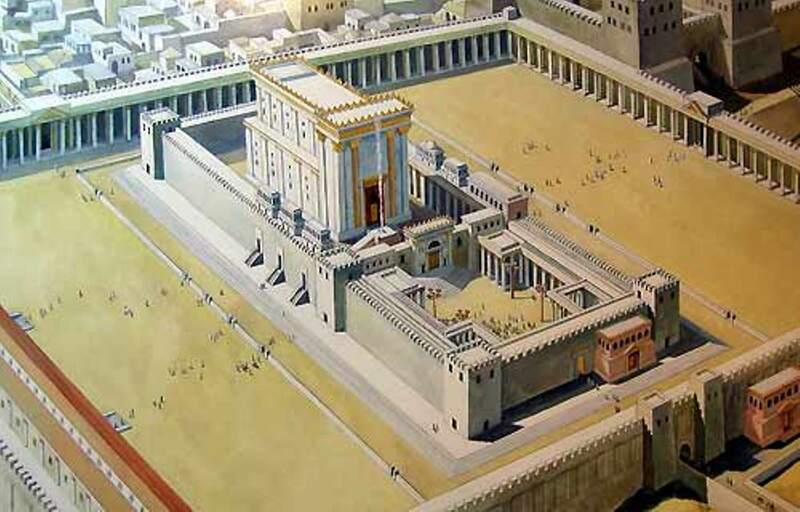 The purpose was to declare the kingdom of God as open to everyone, both Jews and gentiles. The day of Pentecost was primarily to the Jews. At Cornelius’ household it was declared to be open to the Gentiles as well. In Jewish thinking of that day there were only two kinds of people, Jews and everyone else was Gentile. God welcomes everyone who will come to Jesus, from both Jews and Gentiles. Back to Joel’s prophecy. The “I will pour out my spirit on all people” doesn’t refer to every single person but to all people groups. How do we know that? Because we have a clear record of its fulfillment. That’s how it played out. That’s how it was fulfilled. And the best way to understand the meaning of prophecy is in its fulfillment. 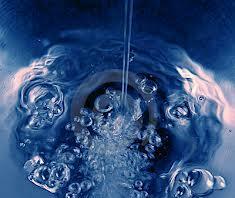 In fact, the events that we have just examined are the only references to the baptism of the Holy Spirit in the Bible. There are no others, even though from the occurrence at Cornelius’ household, to the end of the Bible, there were another 60 – 80 years of Bible writings, during which there is no other reference to the baptism of the Holy Spirit ever again. Why? I believe, from what we have revealed in scripture, that it is because it had fulfilled its purpose and then disappeared from the Christian scene. I cannot be silent or trickle down death! I can’t remember an election where I was so engaged. I have political signs in my front yard, have attended two candidate rallies, written several blog posts on political issues, provided a voter registration table at church on Sundays, followed the daily political direction on news broad casts and engaged in countless political conversations/debates. I am pumped about this election. I just believe the direction of our country is headed toward devastation and now is the time to stop the train wreck. And I do not say that as an alarmist, scare tactic. I believe it with all my heart. If we don’t do something now we may never know America as we know it nor as she was in her days of greatness. I believe there are wheels in motion to remake America in ways that we cannot even imagine. In my blog post dated August 15, 2012 I detailed my reasons for why now is the time to turn this country around and why it is more critical than ever. Here is the link to that post: https://stevethornton.wordpress.com/2012/08/15/i-declare-my-support-election-2012/. However, the reason for my activism in this political season is influenced by one reason above all others. Let me tell you why. 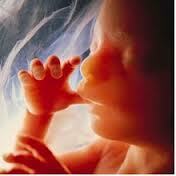 My #1 reason why I cannot be silent and must speak up is this; the sanctity of human life. What do the candidates believe about human life, all human life? What do they stand for and support when it comes to all life and especially the life of INNOCENT unborn children. This is so crucial because what a person believes about the sanctity of life affects everything he does and every decision he makes. It determines whether or not people are respected and valued for their specialness or are simply used to carry on personal or party agendas. The “value of life” issue influences everything. Now, when it comes to our two presidential candidates, President Obama, according to Planned Parenthood of Illinois, supported abortion caused 100% of the time while a member of the Illinois senate. He then carried his support for the termination of unwanted children over into his brief stint in the US Senate and then to the White House. He not only supports abortion during any point in pregnancy but has been an outspoken advocate of partial birth abortions, one of the most inhumane acts that can ever be perpetrated on a human being. He has gone so far as to support the termination of babies that might “accidentally” survive the abortion procedure and are birthed alive. There has never been a sitting president who was so pro-abortion. There could not be a clearer difference in the two presidential candidates when it comes to the crucial issue of the sanctity of human life. It is a clear cut decision of choosing life or choosing death. I ask you, is there any wonder that we have such a high disregard for life in America? Almost daily we hear of another shooting where innocent life has been taken. But how can we be so shocked when we have been taking the life of innocent humans in America for almost forty years now, dating back to the legalization of Roe vs. Wade in 1973. Since that time we have “terminated” thousands daily and hundreds of thousands yearly in America. Over 80 million abortions have been performed in America since the legalization of abortion in 1973. The holocaust of Europe is minor compared to what goes on every day in America. I fear that what we are seeing might be call “trickle down death.” Take the life of innocent babies, when they are not “convenient” or “economically feasible,” abort unwanted human life long enough and it is inevitable that the disregard for life will trickle down to the very core of our country. I am afraid that we will see more and more taking of innocent life all around us in shocking proportion. I am deeply concerned that what we are seeing is merely the beginning and that it will only get worse from here. I know what I have just stated could be an overstatement, that the wholesale abortion of unwanted babies for the last forty years has led to an environment of death and killing in America. But we cannot ignore, and we must own up to the fact, that when you legalize the killing of the most innocent people in our society, it only goes downhill from there. What started with Roe vs. wade in 1973 has deeply affected our country’s mindset on the value of life every since. It is time to turn things around. I don’t have all the answers but I do know that the next president will possibly have the responsibility of appointing one or two new justices to the Supreme Court. That is country changing. That is life saving. That is monumental. It is time to speak up for the sanctity of human life with our vote on November 6. It is time to do what we can do NOW to stop trickle down death in the greatest country on the face of this earth. A couple weeks ago I issued a call and challenge for you to join me in committing to 40 days of prayer for America leading up to the presidential election of 2012 on November 6. (Link to the original post: https://stevethornton.wordpress.com/2012/09/26/40-days-of-prayer-for-america/) Many, at that time, started to pray. Others have been somewhat hit and miss at it. Still others planned to pray but haven’t gotten into the routine of it yet. Whatever your pattern has been or failed to be up to this point, I want to STRONGLY encourage you to DON’T STOP PRAYING. Or if you haven’t started praying for a new direction for America and think it is no use to start now, you are seriously wrong. 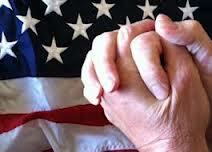 It is NEVER too late to begin praying for our country and the direction she will take on November 6. So don’t stop praying now and if you haven’t started, please join me and the others who are praying. It is time to pick up the praying pace. It is time to ramp it up. It is time to take it to the next level as the election moves ever closer and closer. Anyone with eyes to see and ears to hear knows that the tide has begun to turn and that turn started right at about the 40 day period when more and more people across this country began to pray. The debate on October 3 took place and that was a game changer unlike any debate in presidential debate history. More and more people in America are beginning to acknowledge that the direction our country is going is devastating and now is the time to redirect. You can look at any number of factors to explain the shift in voter preference that has taken place over the last ten days but I believe the unseen and most powerful factor has been the prayer of people of faith who believe God not only has the answer but is the answer and are turning to Him to lead in redirecting out great country. So, I say it again, don’t stop praying. Join us if you haven’t been. Encourage others to do the same. Ramp it up. Every time you think about the election, say a prayer for America. We need to realize that the Evil One will do everything he can to keep this country moving down its current road away from a solid foundation of strong morals, godly principles and faith in the divine creator as the ultimate authority. Prayer is our greatest game changer at this time. It is not our only obligation. It will not take the place of showing up at the poles and voting, but the power of God cannot be underestimated when it comes to changing hearts. Let’s not leave prayer to our last resort. Let’s make it our first line of defense and change. Ramp it up! A few days ago I sent out a communication inviting individuals, pastors and churches across the state and beyond to join together in 40 days of prayer for our country leading up to the election. 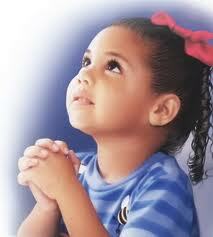 We currently have 35 days in which to pour out our prayers to God on behalf of our land. 35 is better than 0 if you haven’t started praying every day for the direction of our country. If you missed the post here is a link to it. 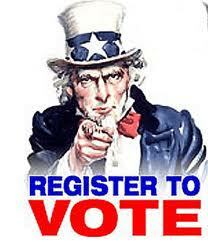 Begin with yourself and make sure you are registered and you will be voting on November 6. Talk to the people you connect with on a regular basis and encourage them to make sure they are registered and will be voting. Encourage your church to set up a registration table the next two weeks to register people at your services. This is not pushing a party or candidate but just getting people registered and ready to vote. We had our first registration day yesterday at New Venture and did have new voters and new resident register. NV will be doing two more registration Sundays. This link is to a printable voter registration form for the state of Virginia. If you live in a different state the form for your state can be found on your state elections board website. http://www.sbe.virginia.gov/Files/Forms/VoterForms/VoterRegistrationApplication.pdf If your virus protection gives you problems with opening this, just copy and paste the link into the address line of your browser. Have then fill out the form at that time and you will mail or hand deliver them. This will assure a higher degree of response than if they take them home hoping it gets done. If you collect the forms be sure to tear off the receipt part of the form and give it to the registrant. Or they can take the form with them and mail them in themselves. If they take them you might encourage them to hand deliver them to their county elections office. Here is the critical piece of information. 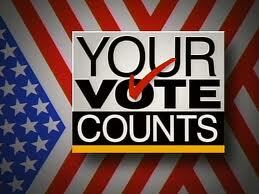 OCTOBER 15 IS THE DEADLINE FOR VOTER REGISTRATION FOR THE NOVEMBER 6 ELECTION, AT LEAST IN THE STATE OF VIRGINIA. If you are not in Virginia you will need to check the deadline for your state. So all this will need to be done rather quickly. I believe this election to be the most crucial one in my life time (and that is a pretty long time). We need to be willing to do everything we can to mobilize the people under our influence to first pray for our country and then to put some feet on their prayers and get to the poles and vote. I truly believe that if everyone receiving this communication takes these steps we can definitely have an impact on the outcome of this election and the direction of our country. Time is running out and the future of our country is at stake.